Aoife Murray chuckles when the perceived, and let’s face it, acknowledged madness of goalkeepers crops up. 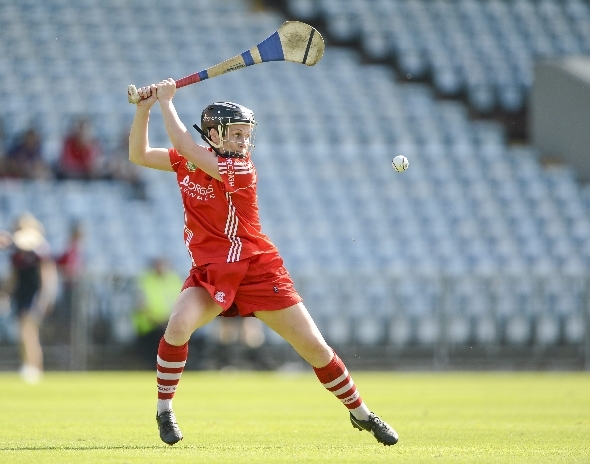 The Cloughduv stopper doesn’t betray any obvious signs of eccentricity - external or internal - apart from the fact that as a camogie custodian, placing herself directly in line with flying hurleys and a bullet-driven sliotar suggests a blatant disregard for her own physical well-being. Mental strength is an absolute necessity for what is a strangely solitary role within a team setting. That is why goalies sometimes get rushes of blood. Not touching the ball for 15 minutes can lead to mad dashes out of the area. The pressure to do the right thing is severe when you haven’t been in the play, more so when combined with the awareness that an error is likely to lead to the concession of a goal. Murray has learned to deal with that over the years but you get the sense that she would really prefer to be in any of the other 14 positions on the pitch. “You need to come up with strategies” says Murray. “I used to have an awful issue with my concentration, which isn’t the greatest thing for a goalie. When the ball was at the other side of the field, I used to have an awful habit of losing focus. “So my full-back gets an awful time. I’ll go out to her to talk to her, or the corner-backs. Just to keep me involved. “But there’s more to it than saving the ball. That’s the primary function of course but I see it that I’ve an awful lot of organising to do to make sure that the full-back line are on their toes. That’s my responsibility at the end of the day. “It’s a funny one. I walked away from the All-Ireland semi-final last year not having been involved in the play whatsoever and I still conceded two goals. That was hard. I didn’t come out to catch a sliotar, I didn’t bat a ball, I didn’t make a clearance. Yet I was responsible for two goals and you just have to walk away and take that. Then indeed. Four All-Irelands, player of the match in one. Three All-Stars. Three county titles. There have been a lot of good days for someone who became a goalkeeper “by accident”. “My sisters used to play and me being the youngest, I used to be thrown into the car with them. At seven or eight, I wasn’t too bad, I could do most things. So (subsequent Cork manager) John Cronin asked my Dad if Aoife could go in goals for a match, because they were short. It was some car to load the 11 Murray children. Of her five sisters, Claire and Emer have played underage football for Cork. Brother, Kevin was a key component of the Rebel outfit that won the All-Ireland senior hurling title in 1999. Another brother, Paudie has won junior and intermediate football All-Irelands in the red jersey. He is now manager of the Cork camogie side that includes his 28-year-old sister, who is on the panel ten years now. The only break in that period was taking the league off last year to do exams. She missed the involvement and is thankful for the support of her new bosses, Jones Lang & LaSalle that enables her to continue operating at the highest level. Clare provide the opposition in today’s All-Ireland quarter-final. Beating Wexford in the league final was a boost, showing that Cork were competitive again. But Clare pipped them in the Munster final, although that result was reversed with a point to spare in the opening round of the championships. “They are very impressive” declares Murray. “The work that has been put in at underage level has really come to the fore and as a follower of camogie you have to appreciate that. And it’s great for camogie to have teams coming up because the sport needs it.